The treatment of cerebral palsy with the GIGERMD Therapy has a great chance to improve neurological impairments and more! The effects of Spina bifida can lead to impairment to gait and damage to the central nervous system (CNS) which can be treated very succesfully with the GIGERMD Therapy. People affected by a spinal cord injury are impaired in motor or sensory functions. With the GIGERMD Therapy both functions have great chance to be improved or regained! The treatment of parkinson’s disease with the GIGER MD medical device supports the patient by achieving a reorganisation of the central nervoucs system (CNS). This may lead to the restoration affected functions and even lost functions can be regained! An injured central nervous system leads to severe limitations and suffering for those affected. Often, this is still made out to be an immutable situation. 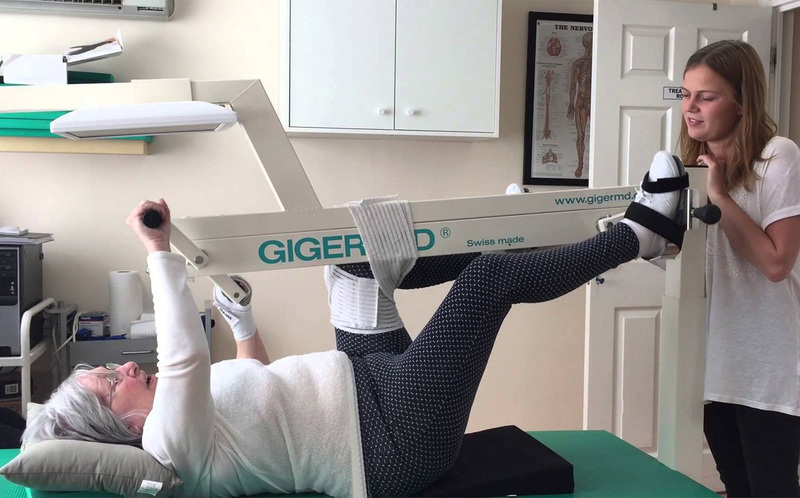 The successes of GIGER MD® therapy prove that there are ways to restore an injured central nervous system and thus recover long-lost functions and hence one’s own independence to a certain extent. With the aid of regular therapy sessions, the brain can be trained to embrace new movement patterns. With 30,000 joint movements in 20 minutes, the intensity of GIGER MD® therapy is unmatched. This method can be learned in just a few days at our treatment center. Then, it can be carried out independently at home. Using special software, users always stay up to date on their progress. Contact us for a free trial therapy session here and get the chance to win back some quality of life!